Contents of this frames may be used to make 1 Orc Waatchtower. 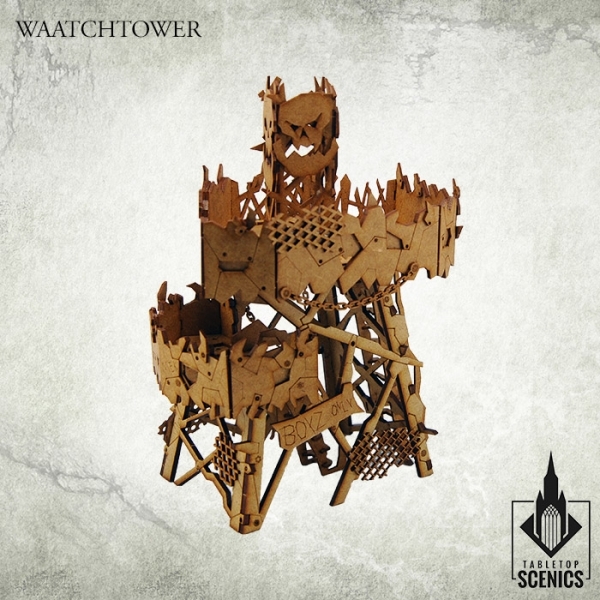 Dimensions: width 15cm, depth 13cm, height 23 cm. 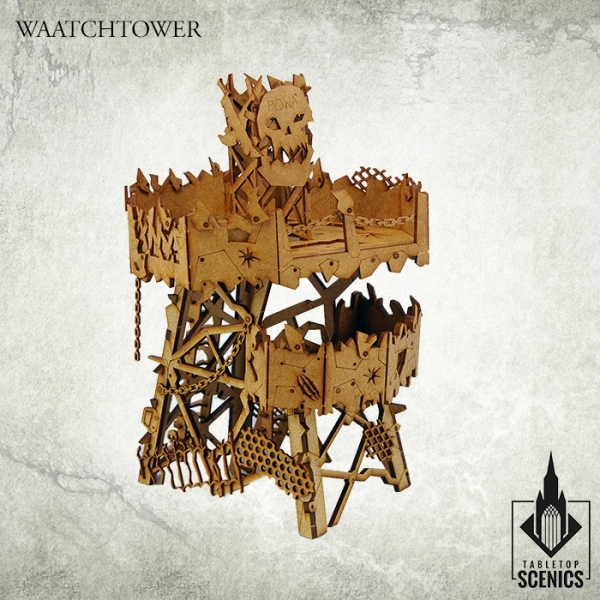 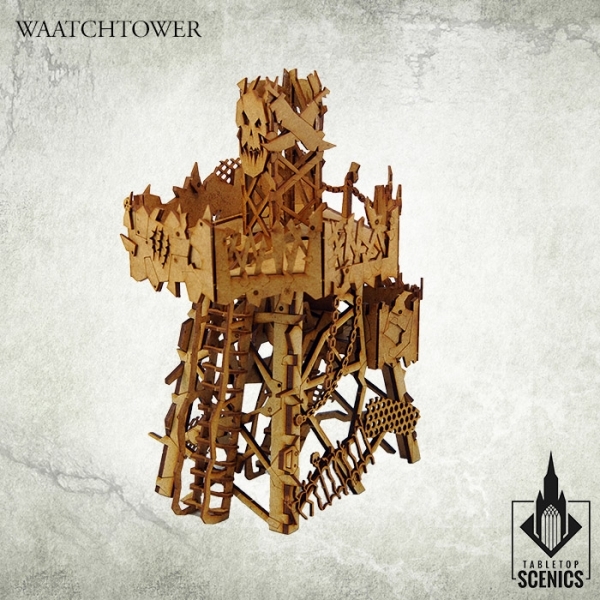 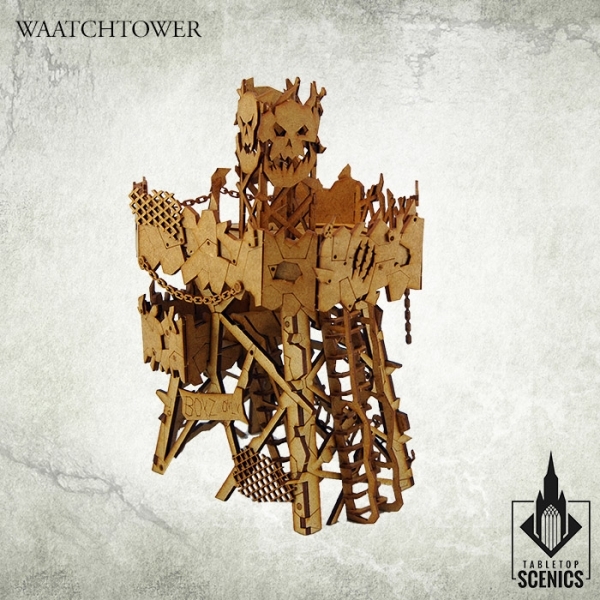 Large Orc Waatchtowers are commonly built at the outskirts of orc towns and strongholds. 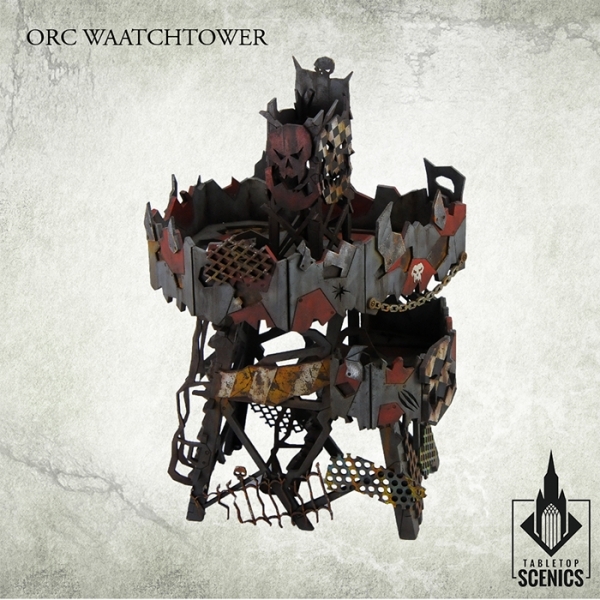 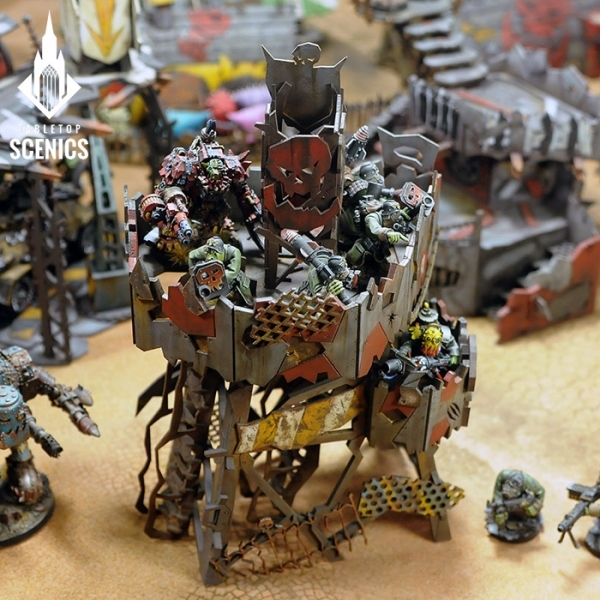 They sport two or more armoured decks on various heights and despite its name usually serve as a good firing point for orc troopers rather than observation post.